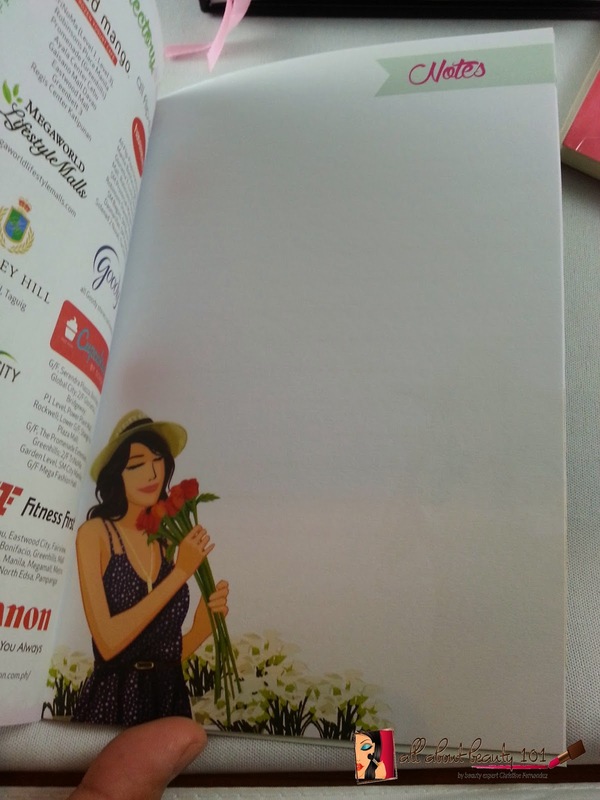 This year I got my planner customized with my nickname and chose the limited edition cover. 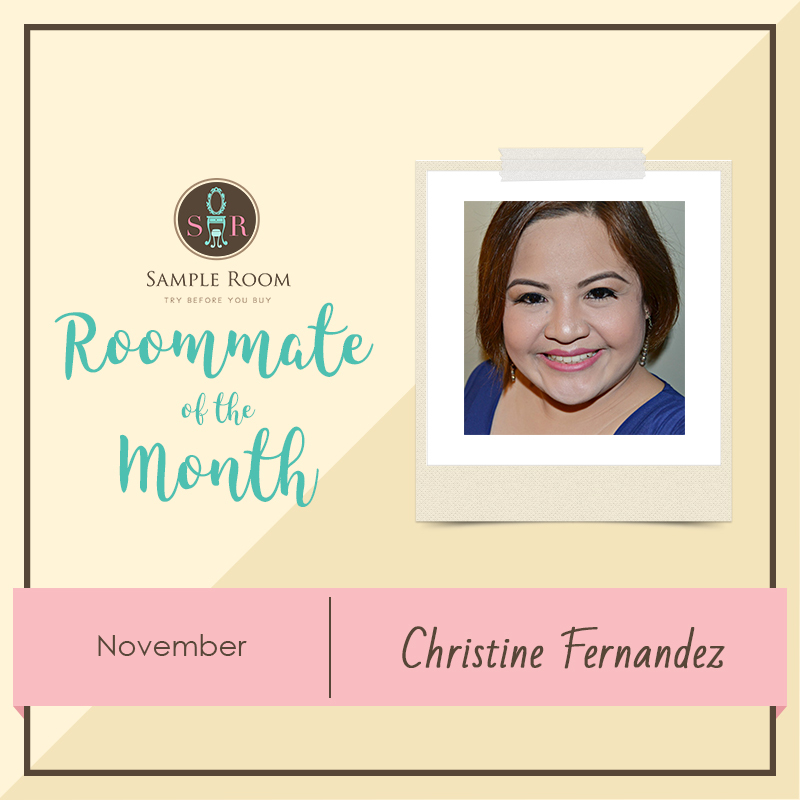 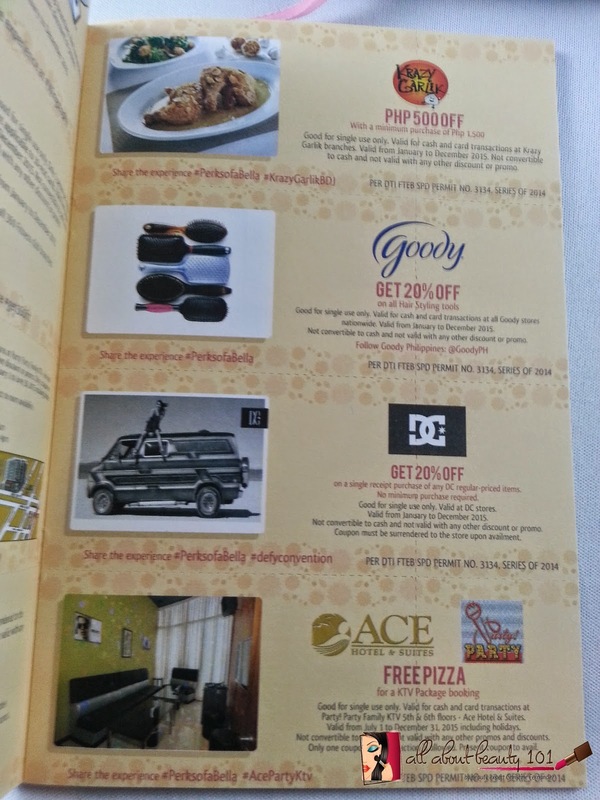 Customized planner costs 698php with free shipping as customized planner can only be ordered online. 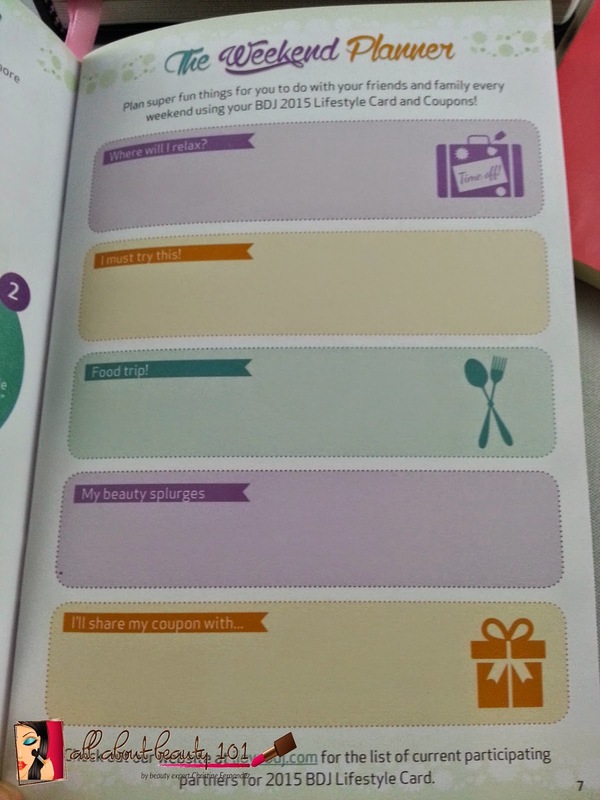 I got a Create/Inspire Journal for free as a token on the survey that I answered for new ideas to be included in the 2015 planner. 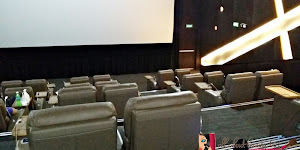 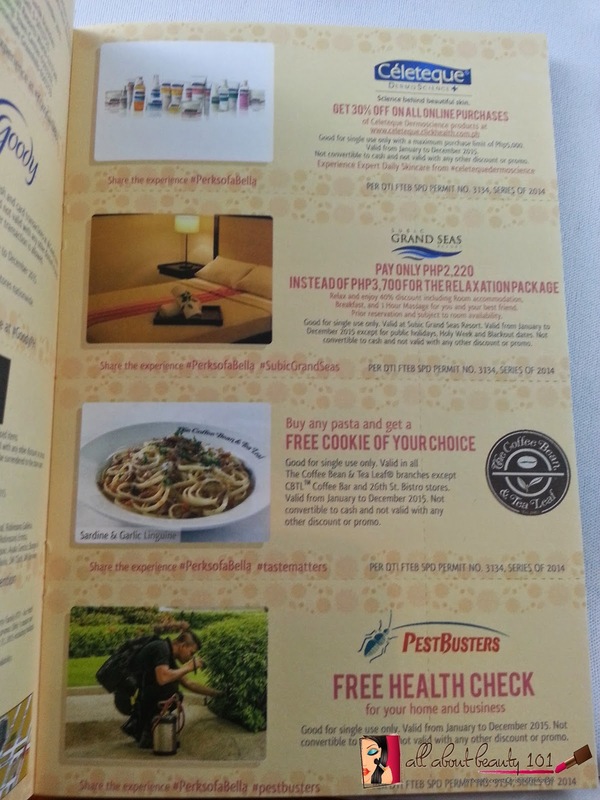 It seems that one of my suggestions is granted as the planner now have free 5 days pass for Fitness First Gym. 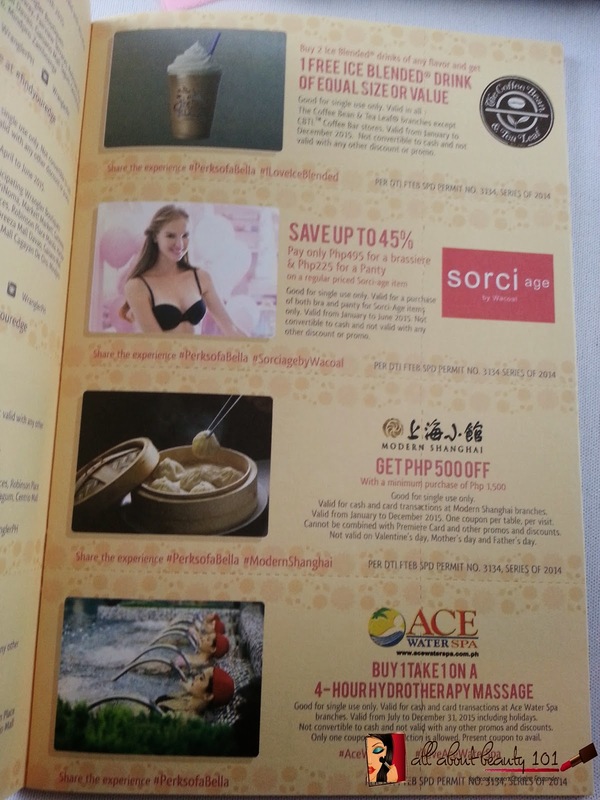 Maybe a lot of girls suggested fitness related things too last year. 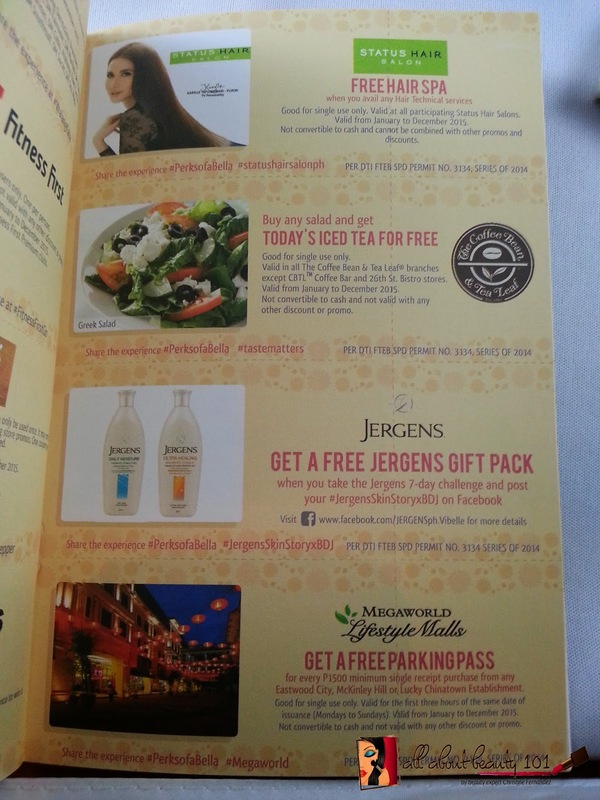 I liked the version of 2015 that the coupons are now separated so I do not have to peel it off from the BDJ planner itself. 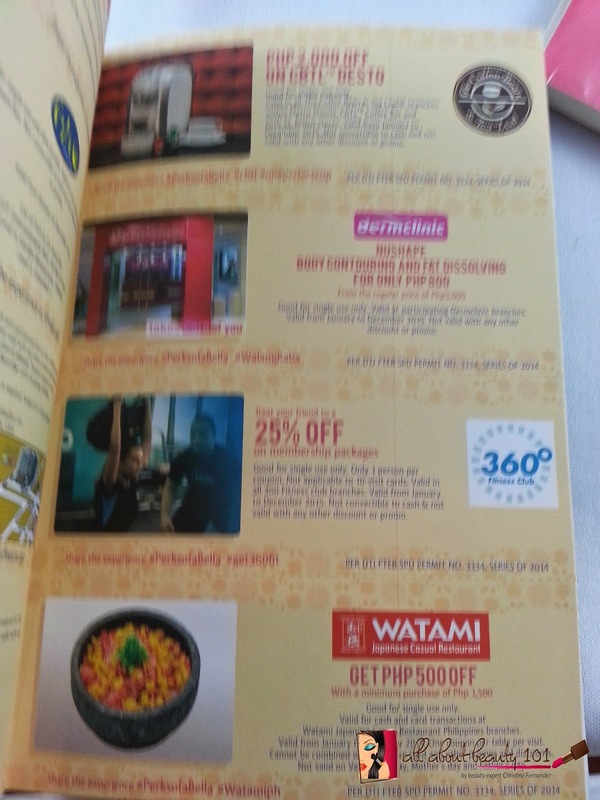 Inside the diary of coupons, the BDJ card is inserted and what I liked about the new card is that it is already a ZAP card. 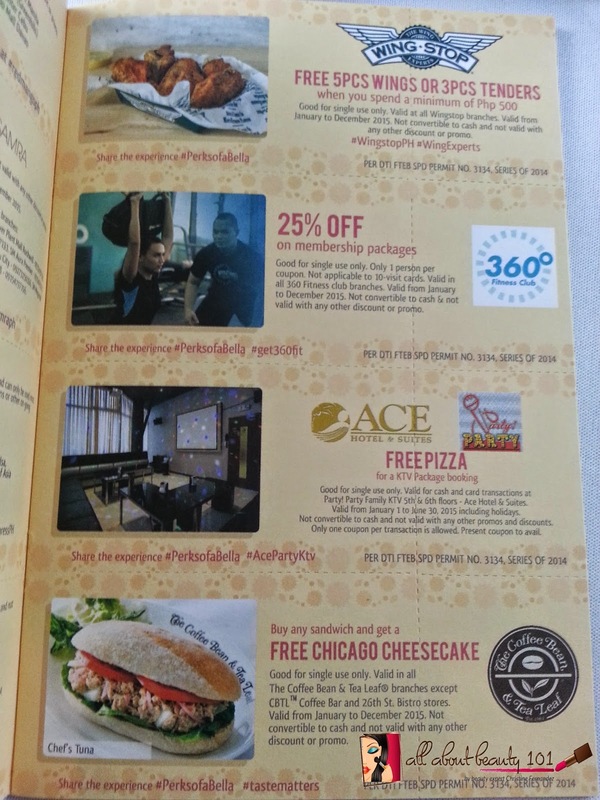 I have an account at ZAP and now I was able to combine it. 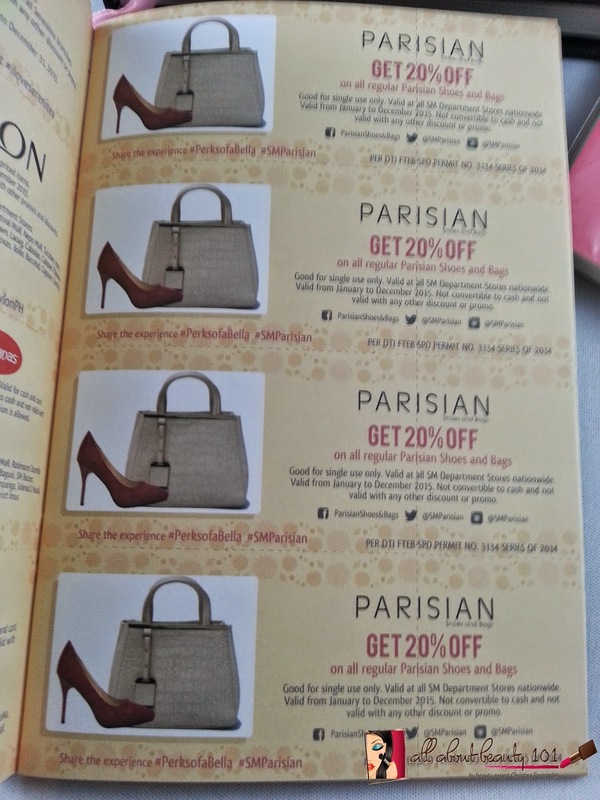 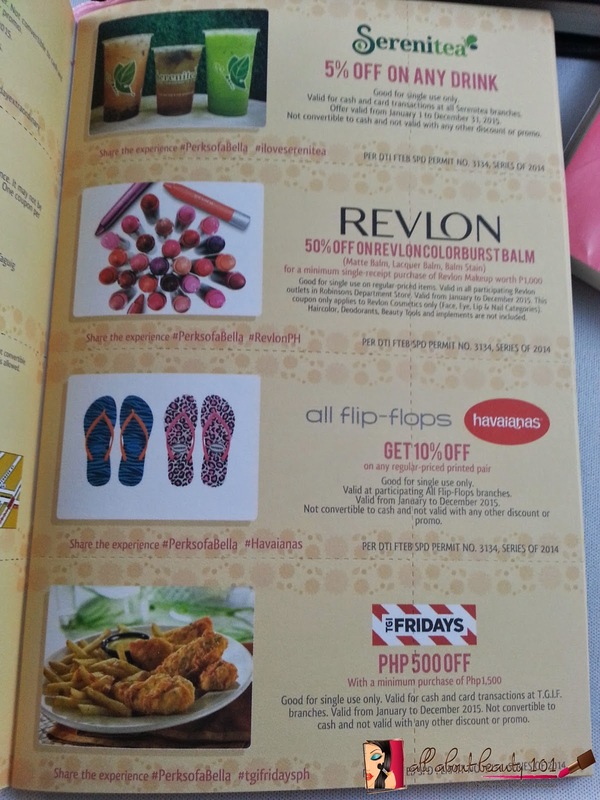 The small booklet of coupons is like a planner too, it has pages for more notes to write on. 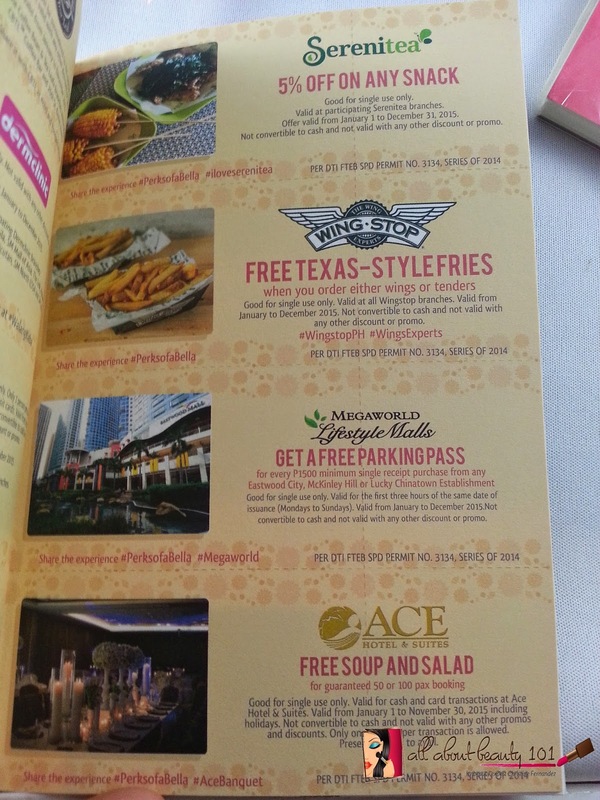 There's a page for weekend planner. 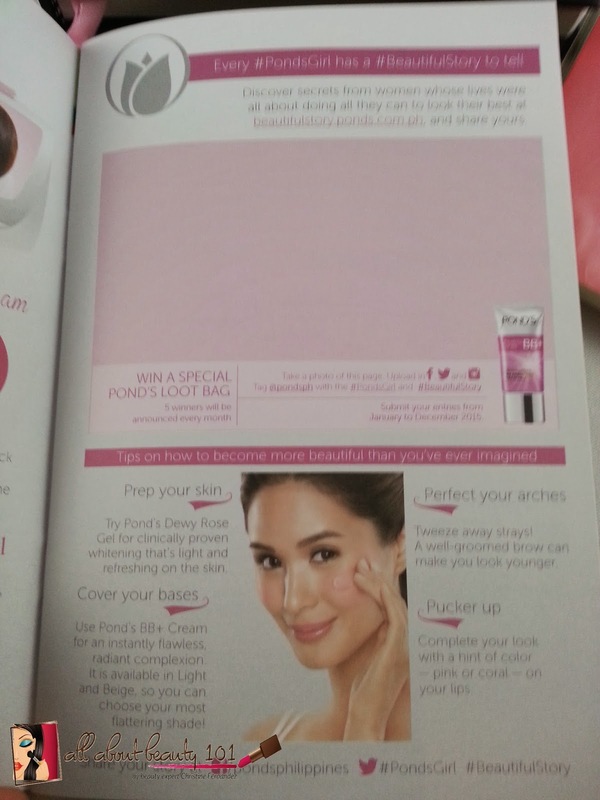 There is a challenge from Pond's too on the coupon diary. 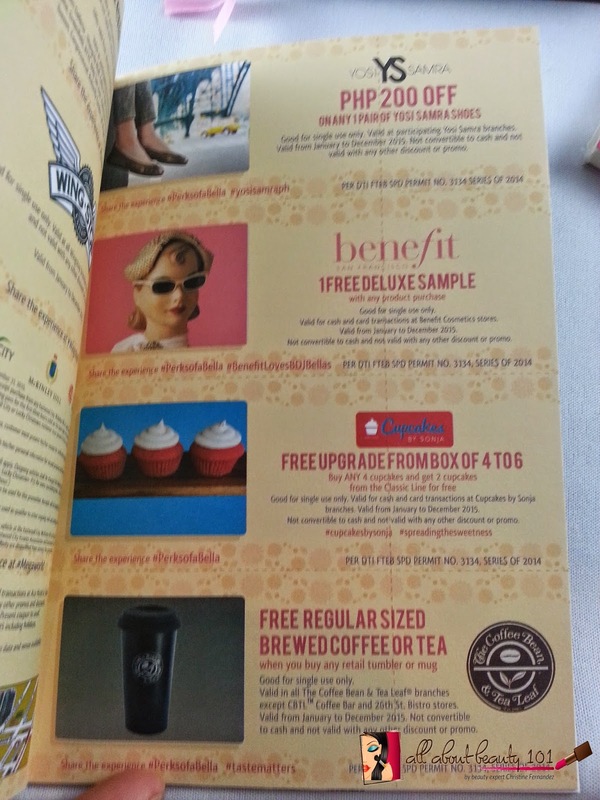 At the back of the coupons book, there's a directory on all the accredited shops and its branches so I will know where I can use the coupons and my BDJ card. 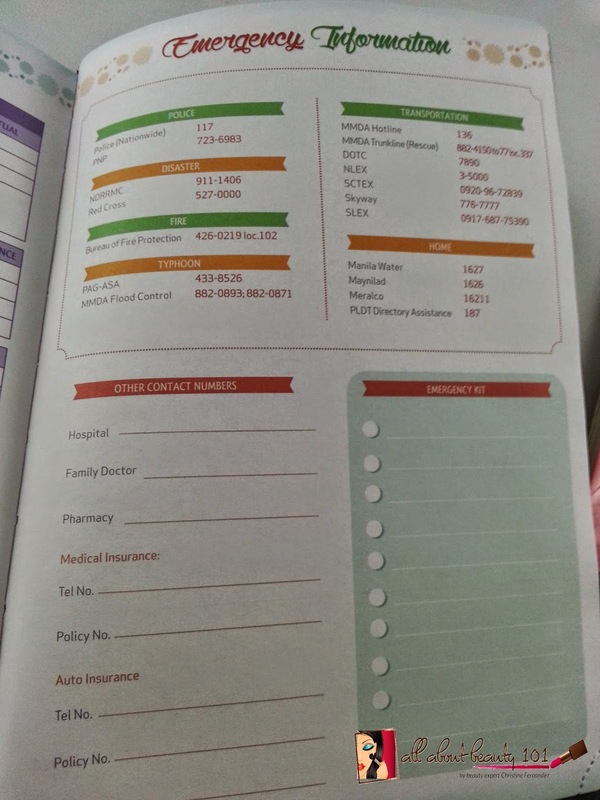 There are additional 8 pages for notes. 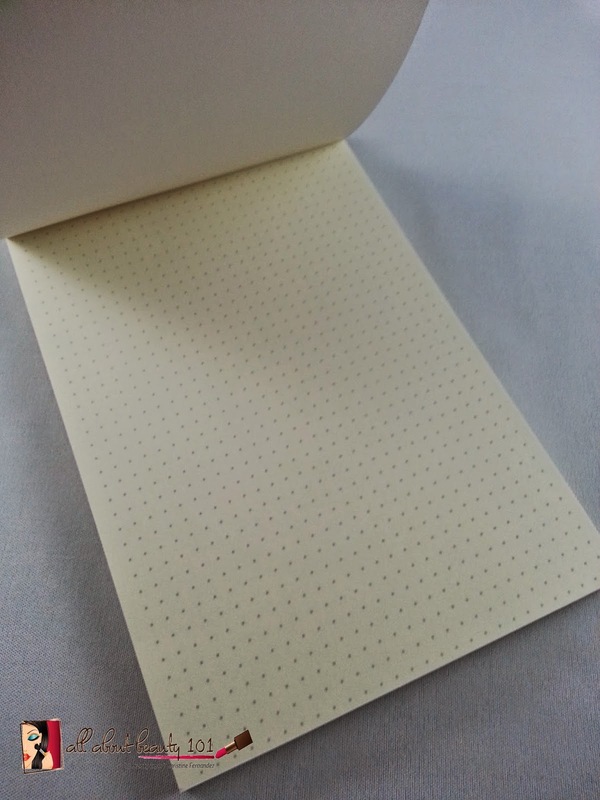 Its like I also have an extra notebook that I can write my thoughts on. 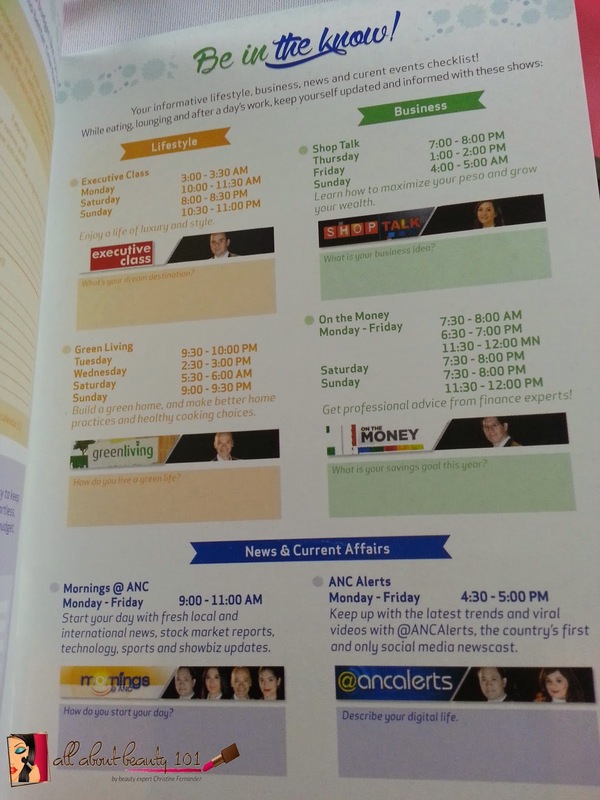 A page about famous shows for lifestyle schedules are also included in the small book. 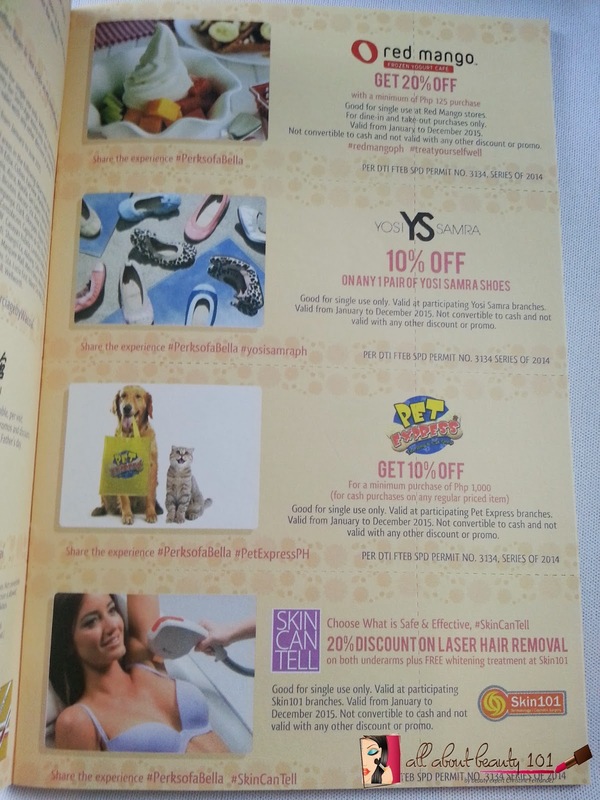 My favorite part, the coupons!!! 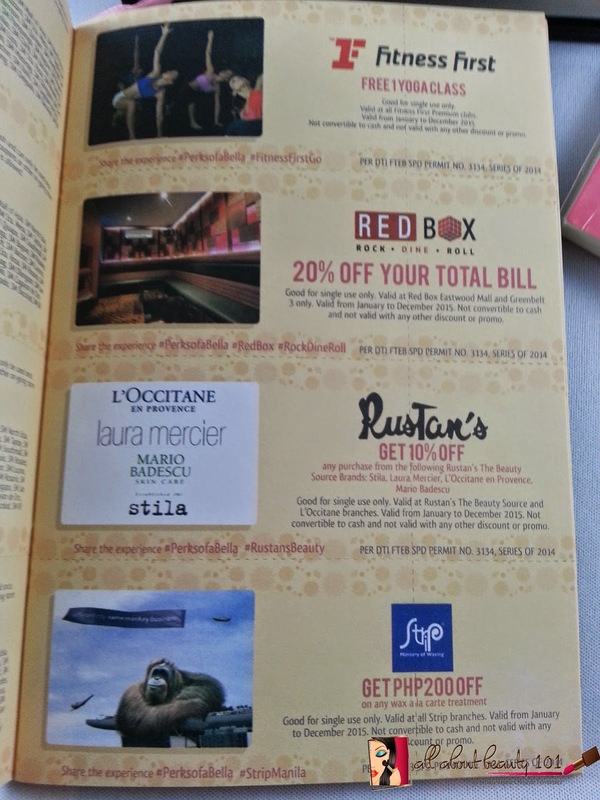 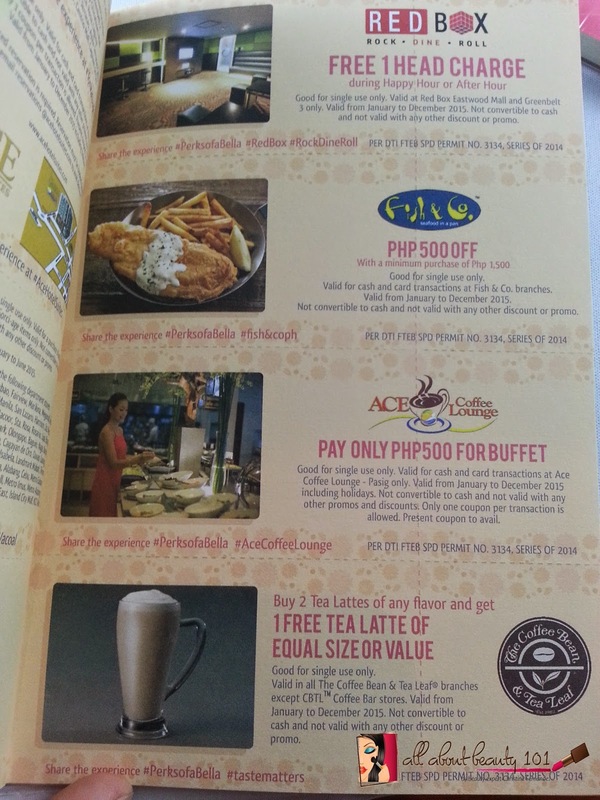 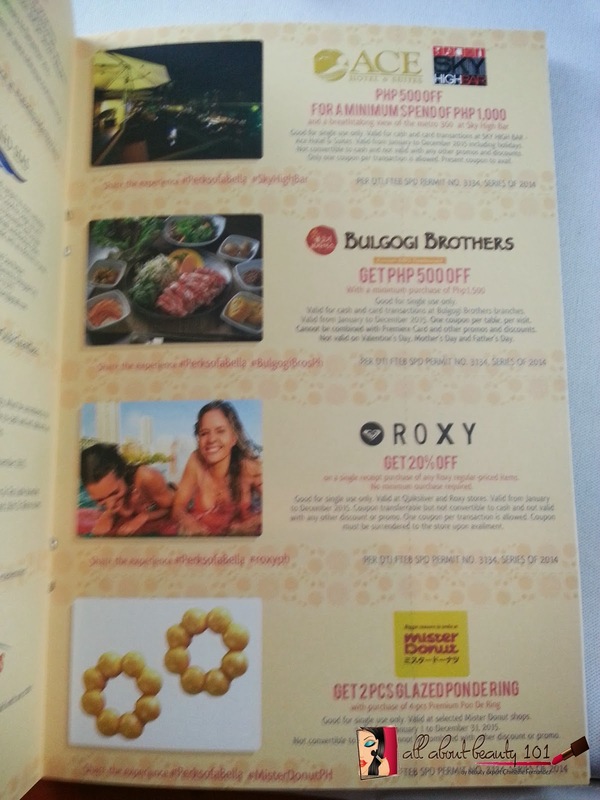 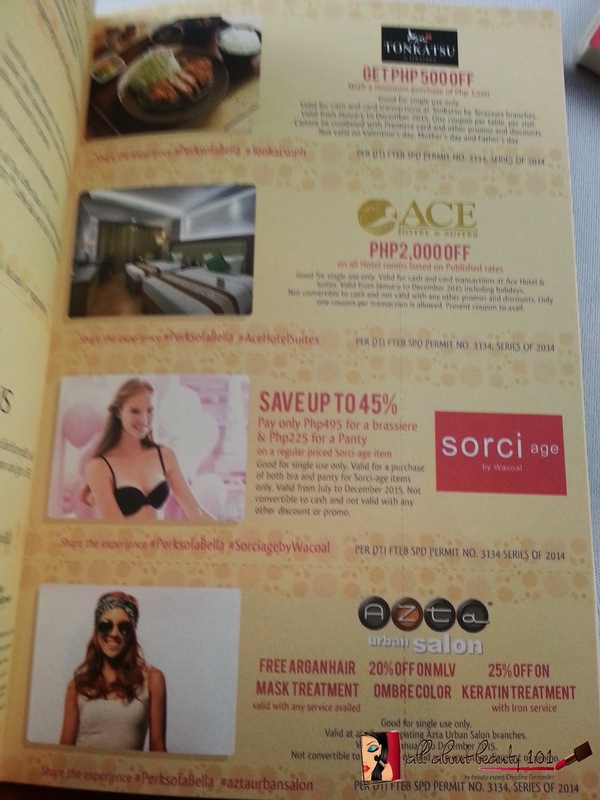 The coupons now has the usual from Ace Water Spa, Coffee Bean and some other establishments. 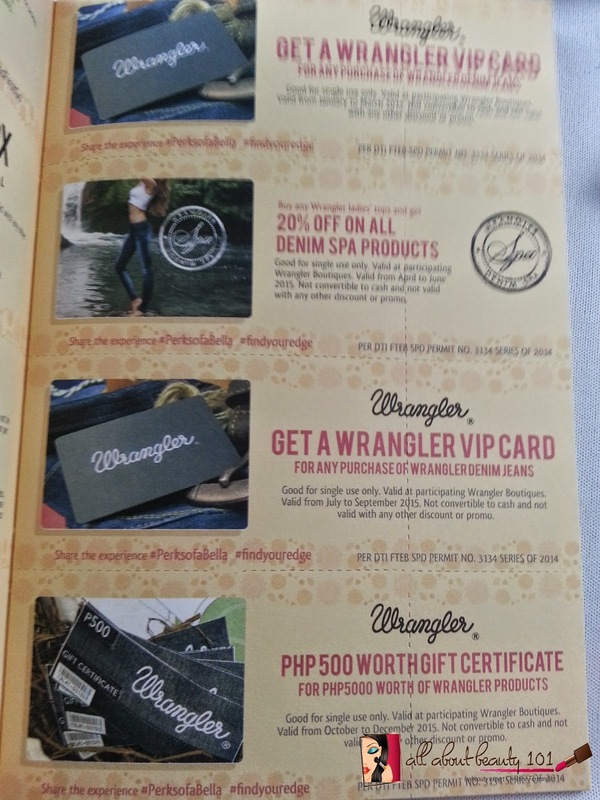 But there are also new brands like the Fitness First, Wrangler and so much more. 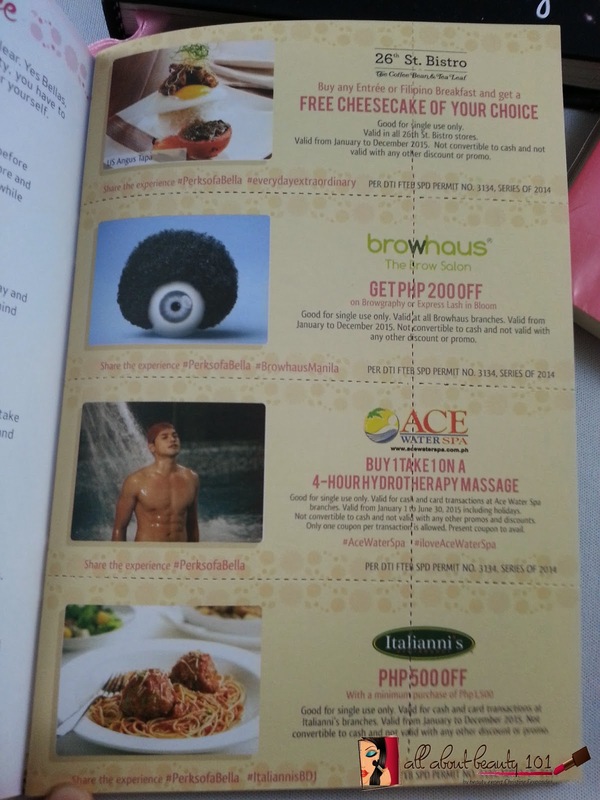 I am excited this year to use more coupons. 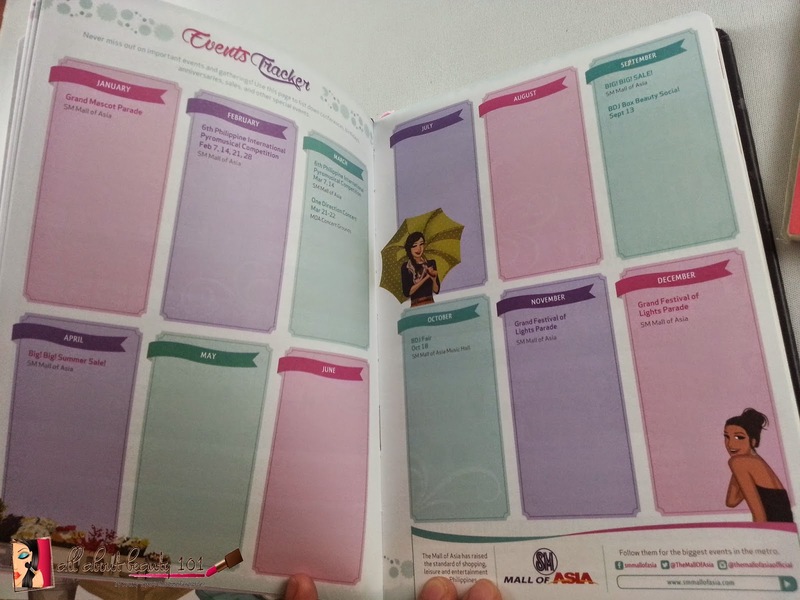 Now, let us look inside my planner. 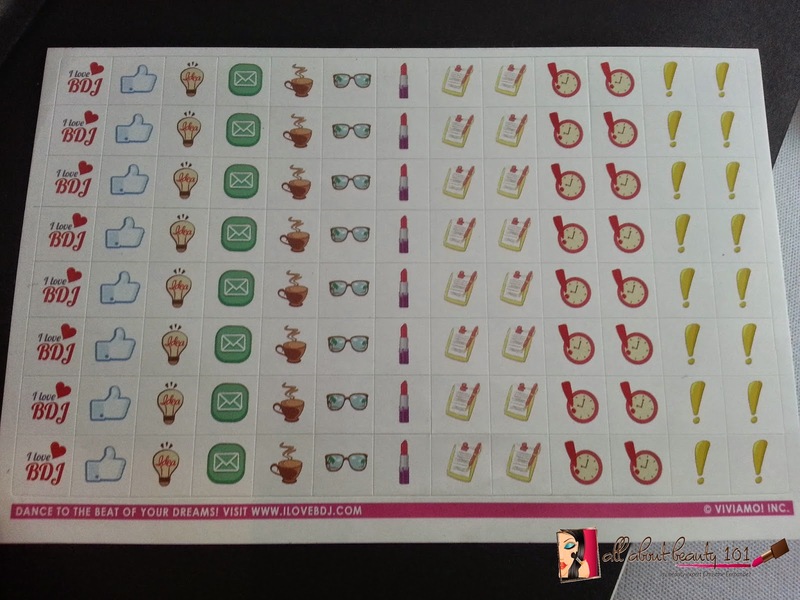 I have a new set of stickers, I saved up my stickers last 2014 so now I have two sets to spare on this new planner. 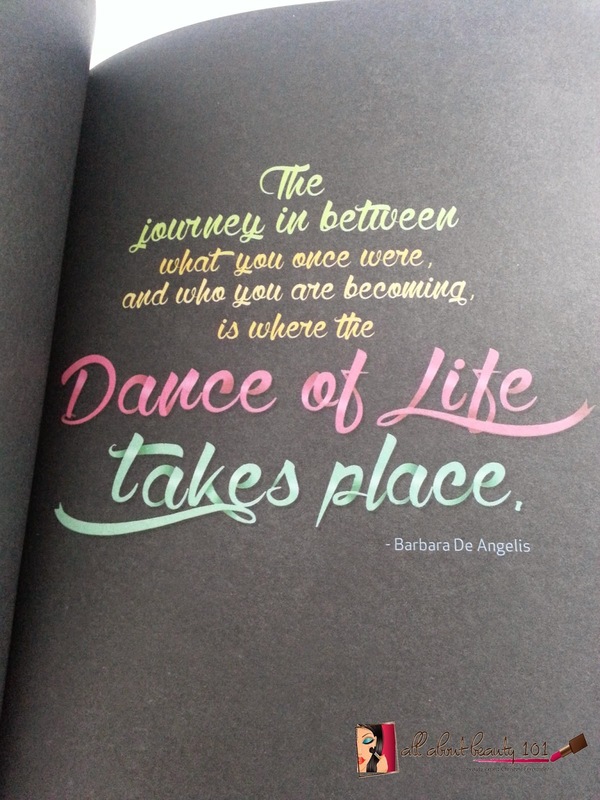 I love how BDJ includes an inspirational quotation on the first page of the planner, the quotation this year is "The journey in between what you once were and who you are becoming is where the Dance of Life Takes Place". 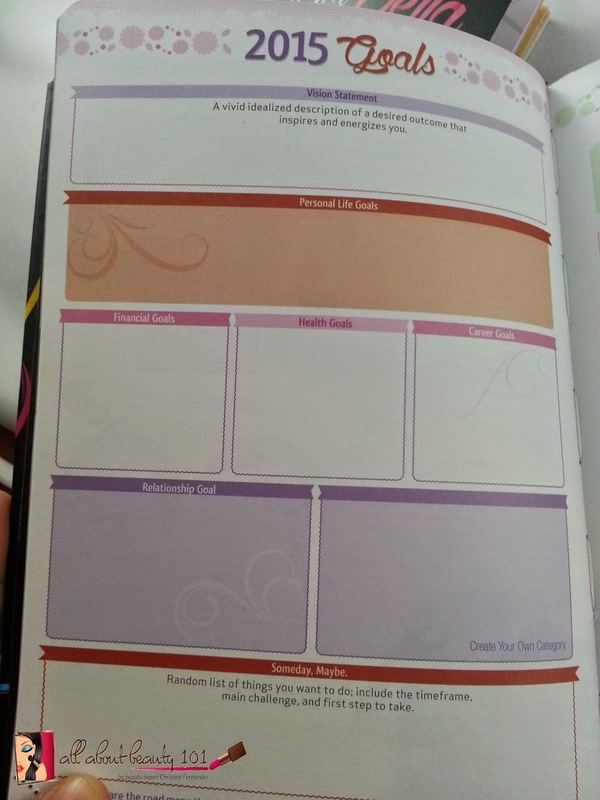 Of course, the first thing I always write on my new planner, filling out the details of the owner! 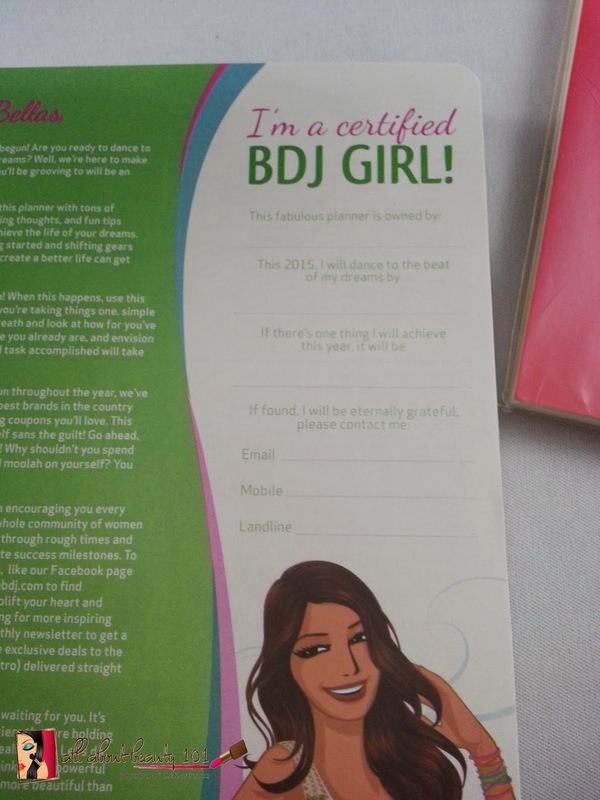 Yes, I am a certified BDJ Girl! 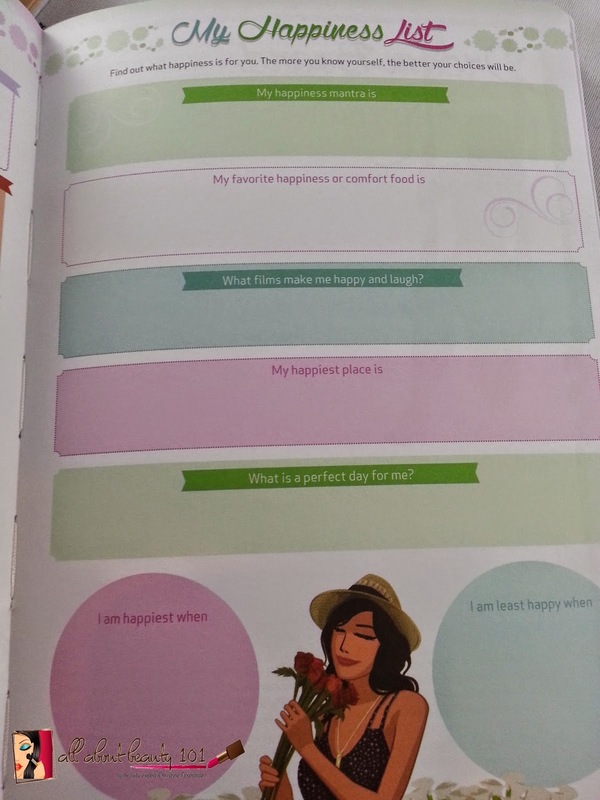 For the first few pages, it helped me on how to plot my goals for 2015 and to keep my life positive because there is a page where I can write in details on what makes me happy. 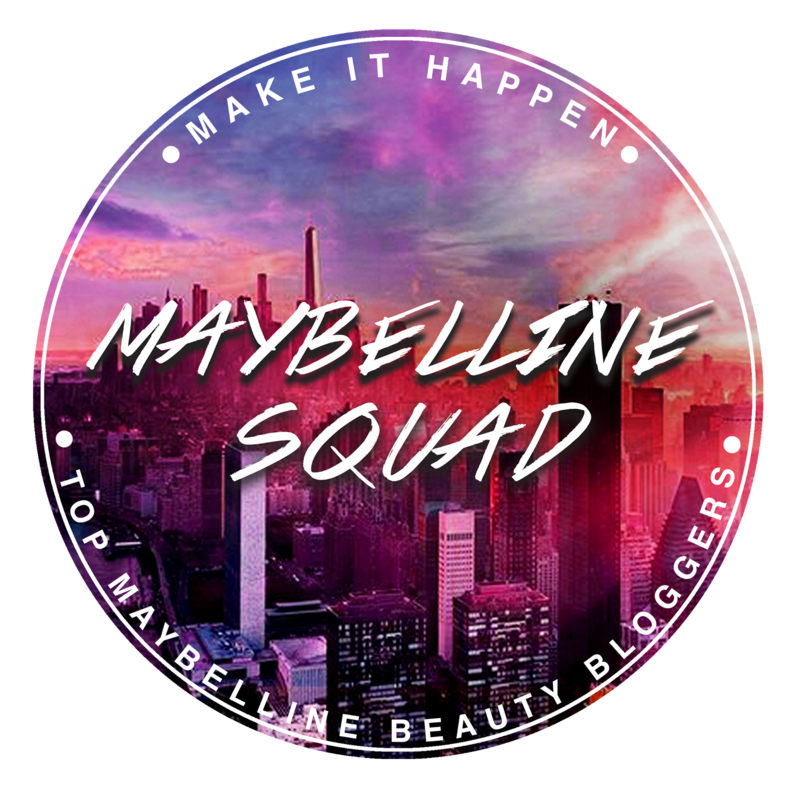 My favorite part is also the Dream Board although I do not know what to put this year because I do not know which dream to focus on right now. 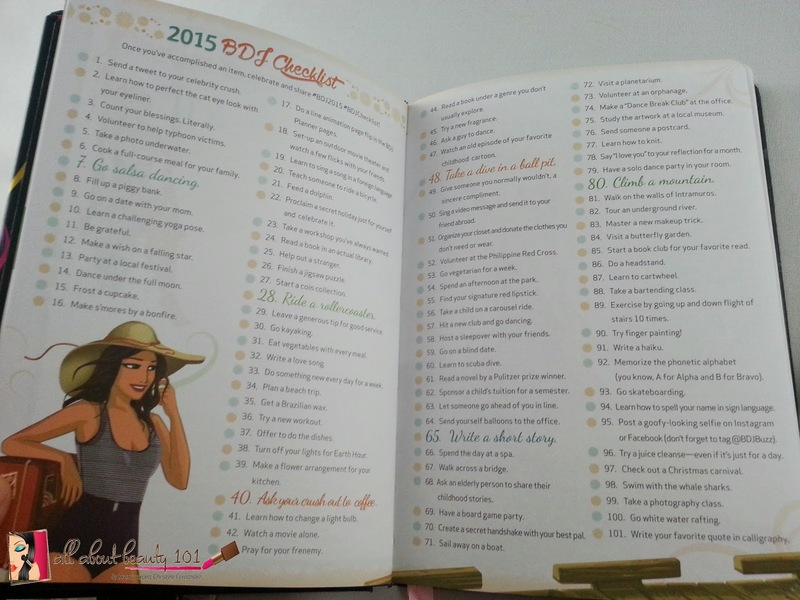 The BDJ Checklist is making the planner more fun, I enjoy checking each box that I accomplish. 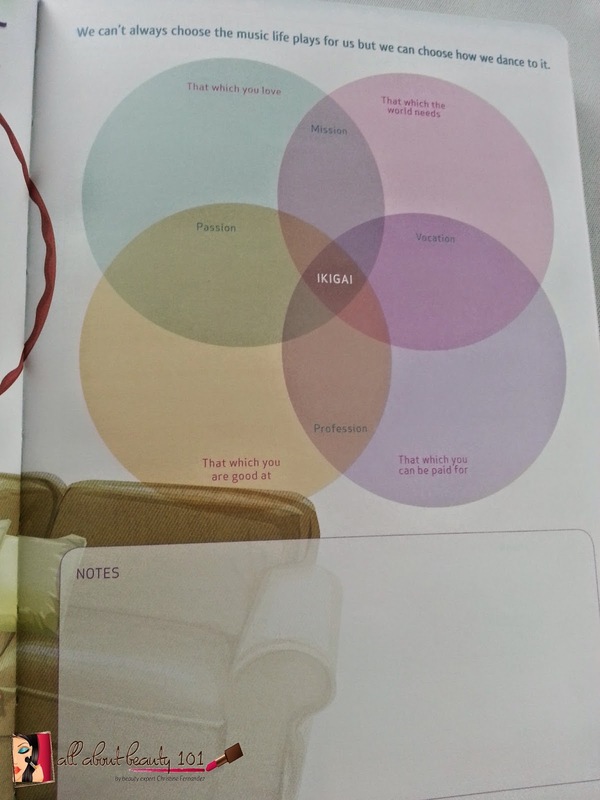 There's a new page in my BDJ planner called the Ikigai, I am still figuring out on how to use it. 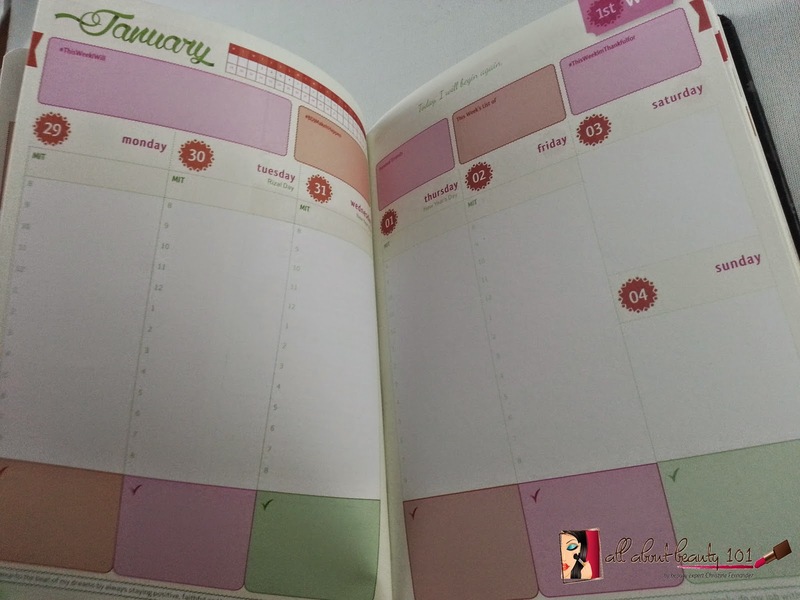 To keep track on my menstrual period better, BDJ includes a special two pages for it. 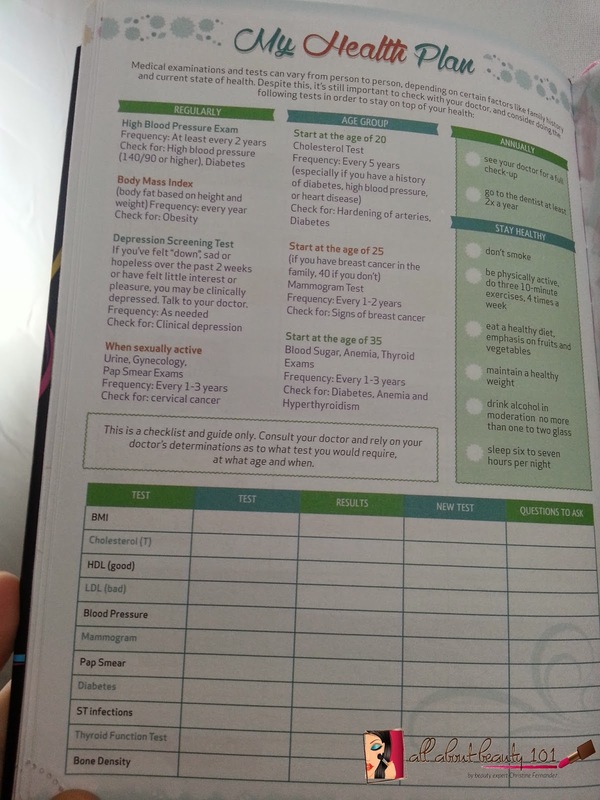 BDJ promotes healthy lifestyle that is why there is also a page where I can monitor my cholesterol, vaccines and my BMI. 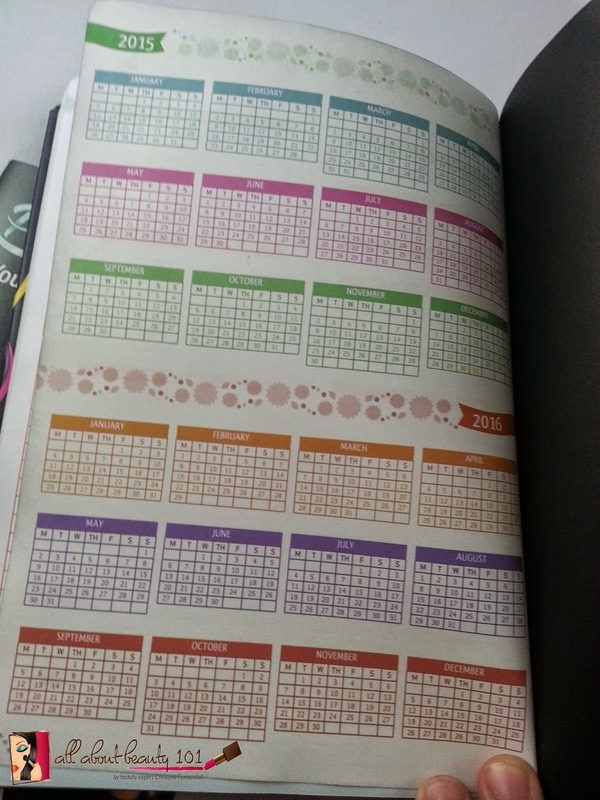 There is a time table for events for the whole 2015. 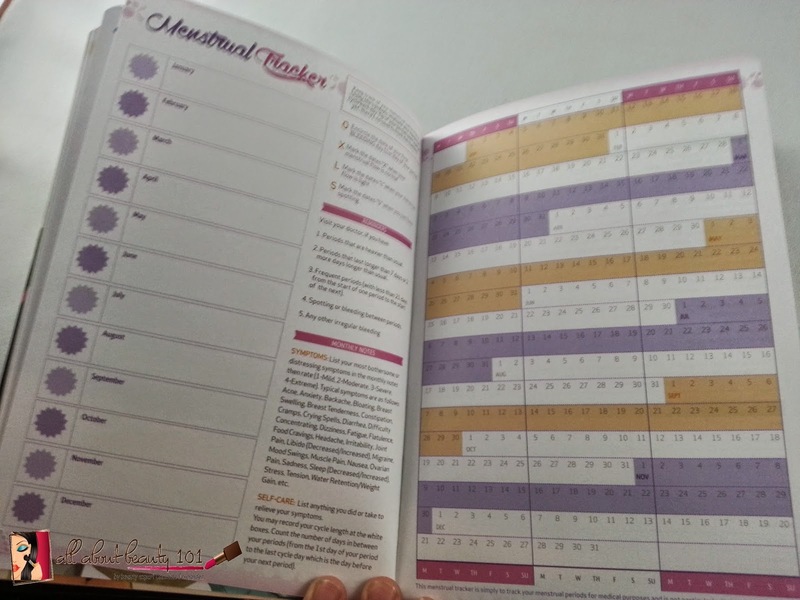 The monthly planner has a weekly/monthly and daily tables where I can monitor my schedule more. 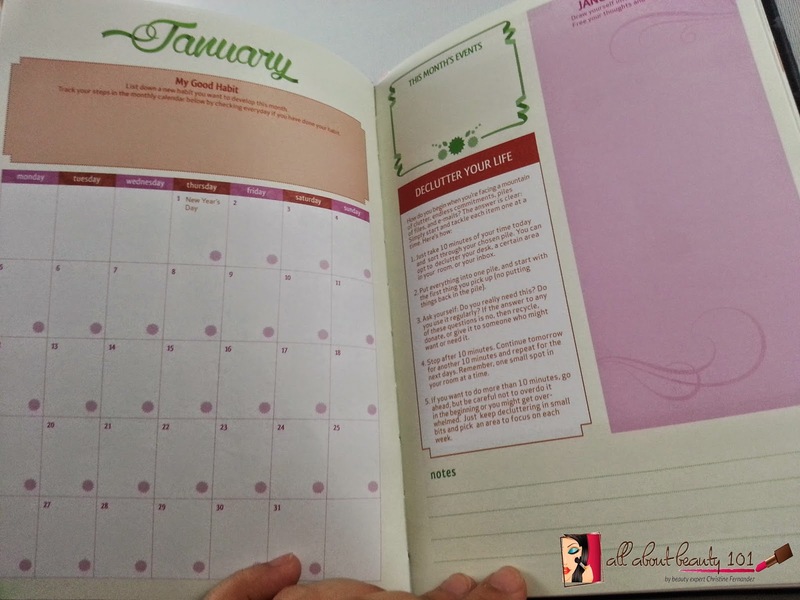 There are now perforations on the planner, so it will be easy turning the pages on the updated month of the planner. 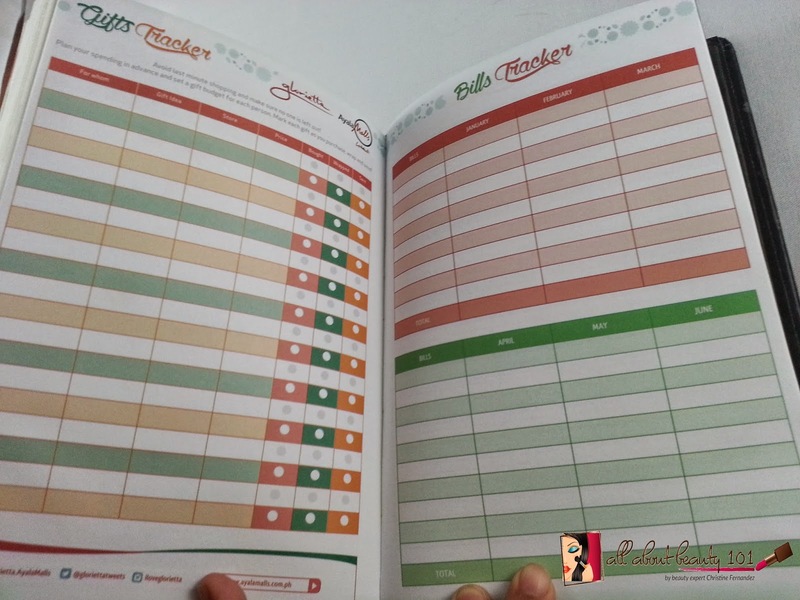 At the back of the planner there's a page for gift tracking, bills tracker and a calendar for year 2016. 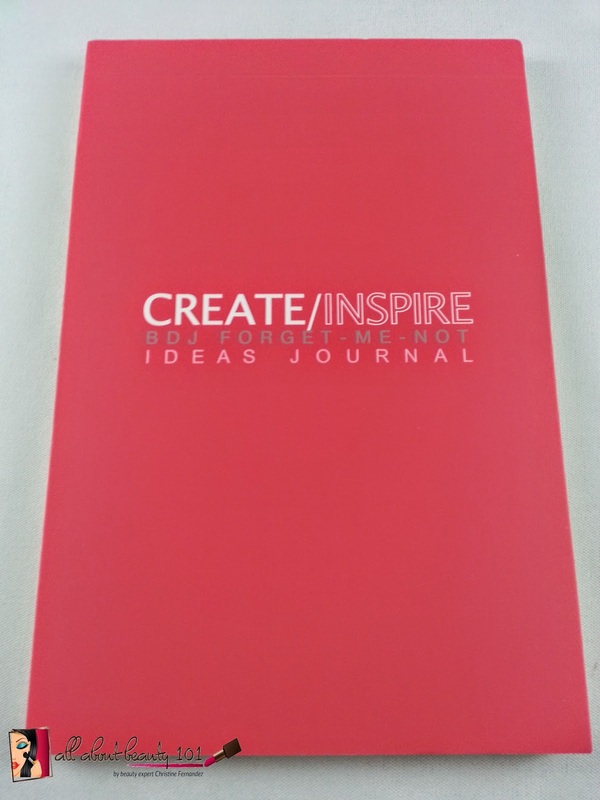 I got a new BDJ Create/Inspire notebook as a token. 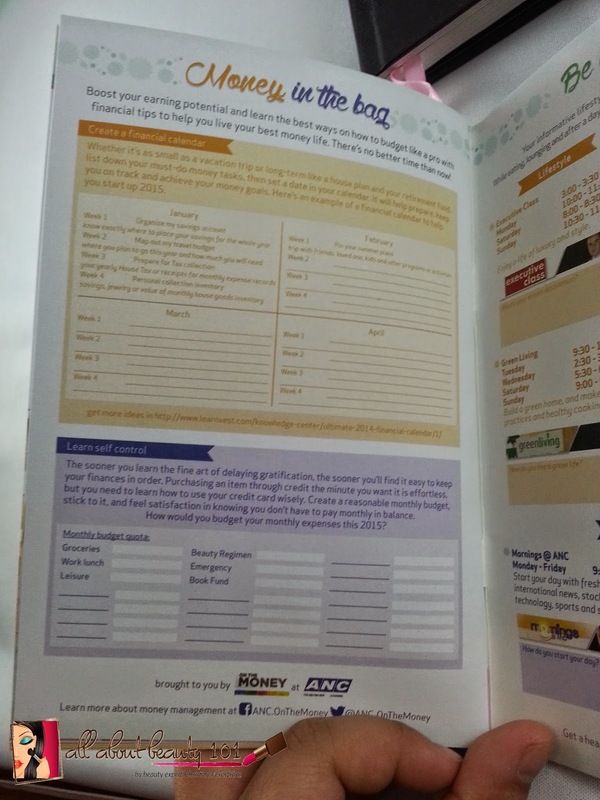 I am saving it up to use when I start my job application abroad. 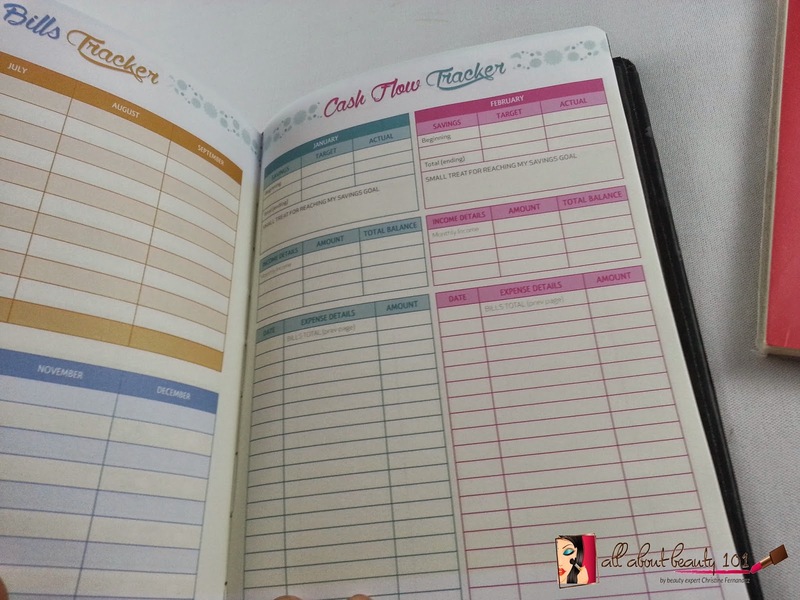 There is so much free space that I can fill it up with anything. 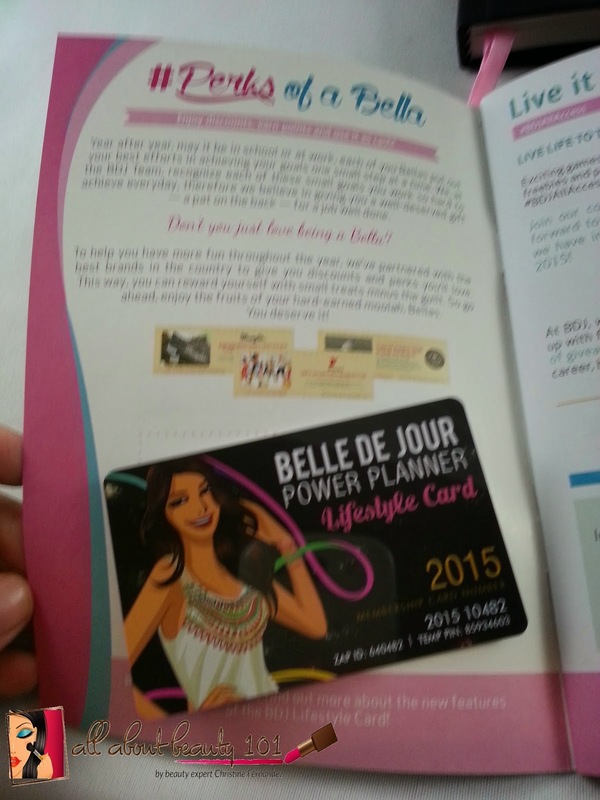 Thank you so much BDJ for being a companion in my everyday journey! 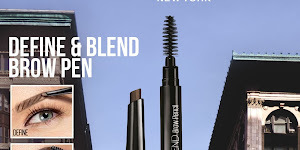 More power!